Both Holland America Line and Seabourn recently announced updated initiatives to assist the travel agent community. The respective premium and luxury brands of Carnival Corporation are focusing on new education courses and dedicated team support. There are four new Holland America Line Academy Core Courses available via the PartnerSHIPS portal at GoHAL.com or halacademy.com. Each feature video, tips, quizzes and other learning activities. “HAL Academy celebrated its 15th anniversary this year, and it was the perfect time to reenergize our Core Course so travel partners who have graduated from the original program along with those who are new to selling Holland America Line can benefit,” said Eva Jenner, vice president, sales, in a press release. As an incentive, agents who finish all four classes and pass the tests will become HAL Academy graduates and be entered to win any 7-day sailing in 2019 aboard the line’s upcoming Nieuw Statendam. To qualify, exams must be passed by September 18, 2018. A dozen monthly winners will also be chosen at random to get special Holland America Line logo items. Graduates will also receive a $50 onboard credit applicable on a Travel Agent Appreciation or full-fare voyage, personalized and signed updated certificate, 15 CLIA credits and eight The Travel Institute credits. New appreciation gifts encompass HAL luggage tags and a HAL Academy graduate lapel pin. In order to maintain status, current graduates must take the new Core Courses. The new classes are The Holland America Line Difference, Destinations and Itinerary Planning, Selling Groups and Secrets of Sales Success. —Course 101, The Holland America Line Difference, delves into the brand itself and targeting the right guests, as well as the company’s destinations, service, entertainment, enrichment and dining. —Core Course 102, Destinations & Itinerary Planning, looks at itineraries in greater destination detail and selecting them for their clients. Also covered are the line’s EXC Port Planners for better shoreside planning. —Core Course 103, Selling Groups, focuses on group business specifically, such as where to discover and how to promote and sell it. It also touches on incentives and charters and the line’s group support in return. —Core Course 104, Secrets of Sales Success, outlines tips, tricks and other secrets to closing the sale, including communication, building loyalty and even accessible travel. The most successful in their field share sales suggestions also. Meanwhile, luxury line Seabourn is renewing its commitment to supplying travel agents with an education that ensures sales success. "Today's travel professional plays a key role for luxury travelers by helping the consumer curate their perfect vacation choice," said Chris Austin, senior vice president for Global Marketing & Sales at Seabourn, in a separate press release. The sales team is the heart of the luxury brand, and Seabourn showcases its members accordingly. —Originally brought onboard as Director of Sales Development in 2001, Doug Seagle became the Vice President of Sales, North America during 2006. He is now in charge of all North American trade channels and fostering their growth. —Tanya Barnette, Director, Strategic Key Accounts, Charters & Incentives, has been with Seabourn sales since 1998. She oversees managers responsible for top retail accounts as well as full-ship charters and incentive group sales. —Jeannie McGinnis, Manager of National Sales Accounts, comes from corporate cousin Carnival Cruise Line and now focuses on revenue targets, premier travel professional networks and product and partner messaging. —Amy Crutchfield-Smith, Key Account Manager - Southeast, is new to the brand and takes care of sales productivity growth and marketing initiatives for top partners in the Southeast. —Mary Gallo, Strategic Key Accounts, Central, manages top Central U.S. accounts from a luxury travel agency career perspective. —Cathy Heriot, Strategic Key Accounts Manager - Southwest, joined Seabourn in 1993 and has been named "Sales Manager of the Year” twice. She handles sales and marketing endeavors and marketshare growth for key accounts. —A 20-year agency veteran, Peggy McNeil, Strategic Key Accounts Manager - Northwest, increases partner knowledge and sales. —With more than 35 years of experience, Beth Widhson, Strategic Key Accounts Manager of the Northeast, has been the force behind building account growth in the Northeast. Seabourn also supports professionals by way of the collective Holland America Line & Seabourn Business Development and Inside Sales Team. 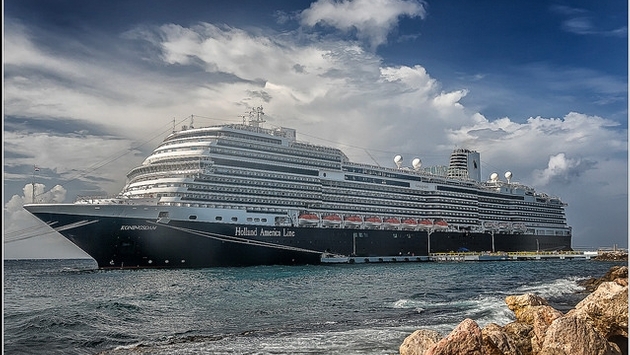 For more Holland America Line information, call 1-800-426-0327, email sales@hollandamerica.com or visit GoHAL.com. For more Seabourn information, call 1-800-929-9391 or visit www.seabourn.com.